This is the entry-point thread to link all SF2 Disassembly-related discussions. For a brief summary, the disassembly is a more complex and powerful approach for modifying Shining Force II, and eventually create whole new Shining Force adventures based on its engine. 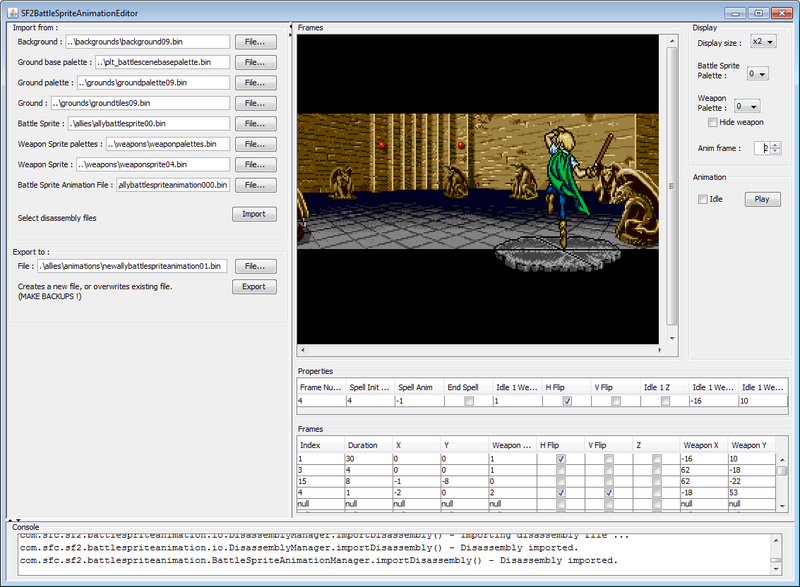 Instead of directly hex-editing the ROM's content, the process implies to first disassemble the ROM to generate assembly-level sourcecode which can be assembled back into a ROM with an assembler program. 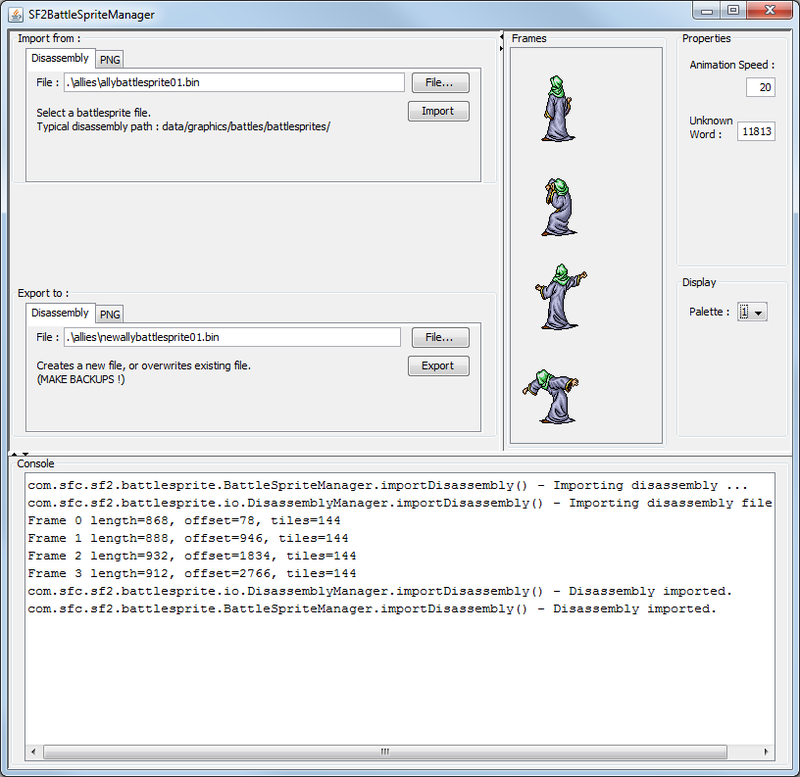 Re-assembling the game allows more extensive modifications, as the assembler will be able to re-compute all absolute addresses inside the rom dynamically. This means no more problems about data being limited to its original size and location. Everything can be freely shifted, expanded and moved anywhere inside the ROM to offer more free space. Some people may think "but hey, The Caravan also does that ! ", and that's true, The Caravan expands the ROM from 2MB to 4MB and moves most data structures to larger places. 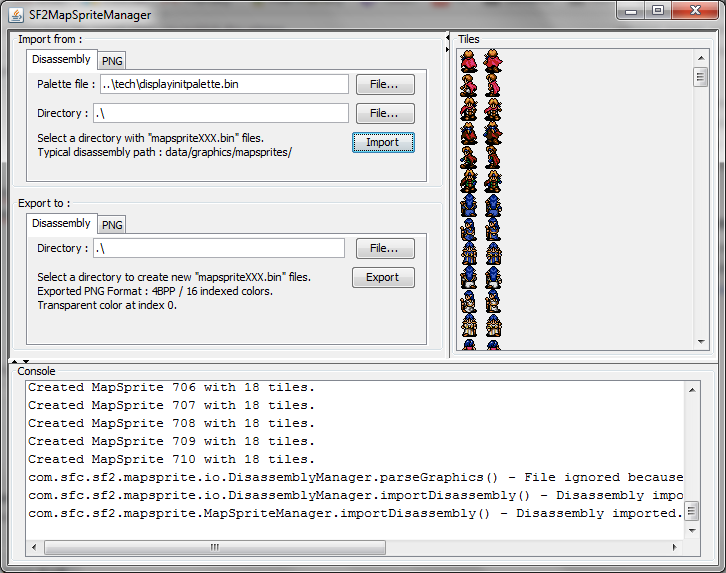 But BNC's awesome tool only does this to some extent : some data structures like cutscene scripts and map setups cannot be hex-edited, because they were designed to use assembly code and absolute adresses which would be an absolute pain to manage programmatically from The Caravan, while an assembler is designed precisely to do it. Eventually, BNC would have to re-program a whole assembler inside The Caravan, or something very similar to it. Hence this disassembly approach which, while being a huge preliminary effort before getting something out of the assembler, now has reached the point where the potential is obvious for ASM hackers, and will become more and more obvious for people waiting for GUI tools. - Then run split/split.bat. This may take from a few seconds to around a minute. This will split the ROM's original data in thousands of tiny binary files in the disasm/ directory. - Run build/build.bat. This may take from a few seconds to a few minutes. 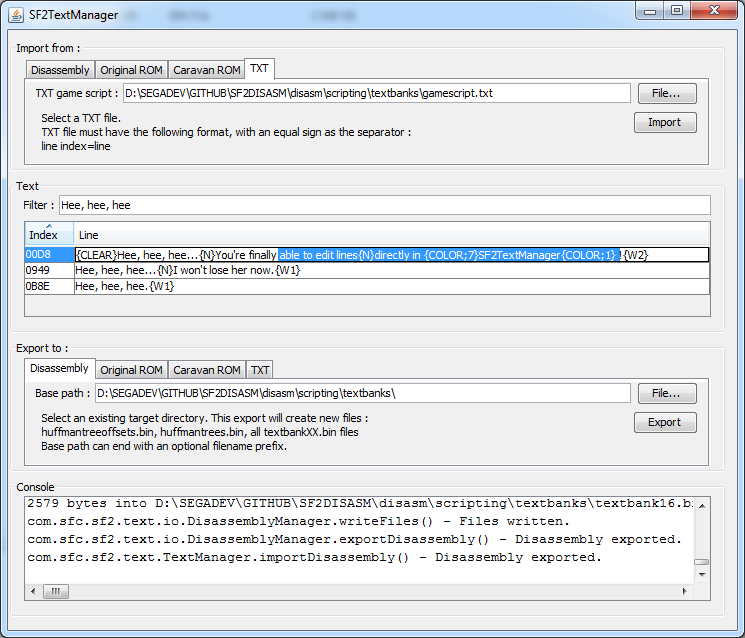 This will assemble the game from the content of the disasm/ directory only. With the original content of disasm/, the resulting ROM file is supposed to be a bit-perfect replica of rom/sf2.bin, hence the comparison at the end of the build to make sure of SF2DISASM's integrity. When disasm/'s content has been modified, the build will naturally notice differences compared to sf2.bin and you can ignore it. 4. Play with your disassembly ! According to your understanding of how ASM 68K works and how data is organized, you can modify the game's content step by step and see if/how it builds. Just be aware that extensive modifications (with more content than original content) imply to extend the ROM's layout from a 2MB ROM to a 4MB one, and this involves a bit of ASM hacking which should be covered in a future tutorial, I guess. Update : just use build/buildexpanded.bat as explained in section 3 ! About disassembling the original ROM with awesome reverse-engineering software and countless hours of devoted efforts. This is the aggregation of all our discoveries on SF2's ROM, and while only BNC and I contributed to it directly, we have to thank everybody who contributed indirectly, and who can continue to do so. Research topics, flag maps, value lists, offsets, bug reports, any tiny discovery is a piece of information which can help in understanding and documenting more of the game's content and mechanics. This project outputs the ASM code and binary data-split information for the SF2 disassembly. 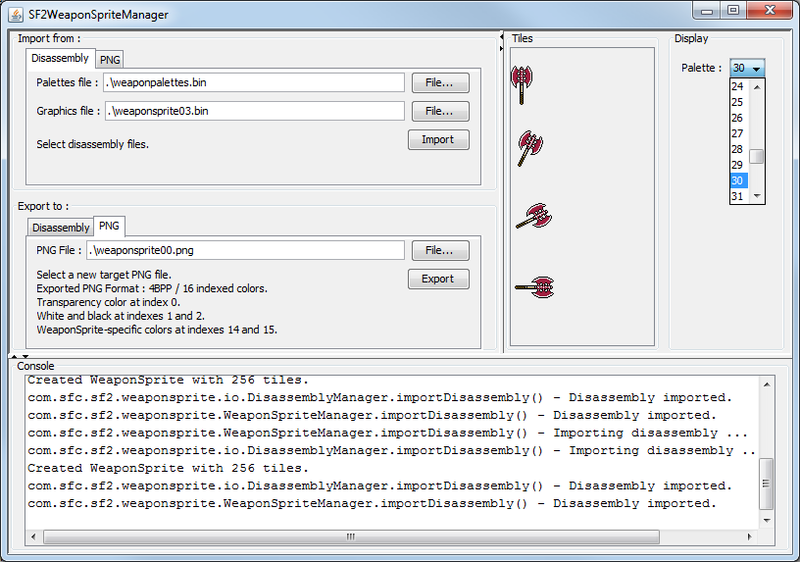 This is the actual disassembly which provides the ability to build the game. 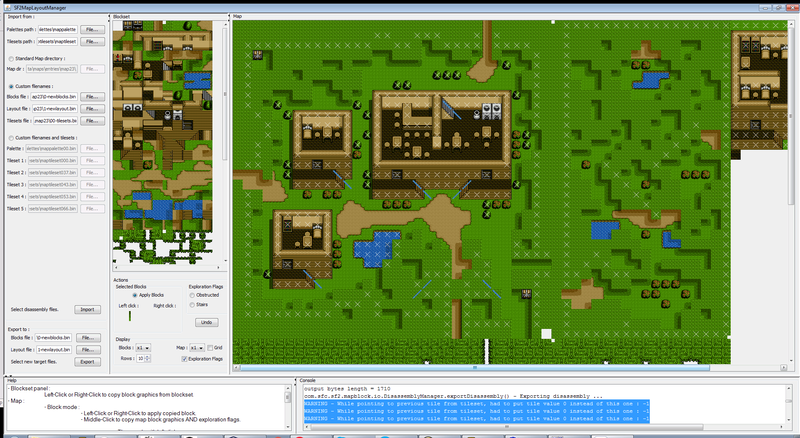 The goal is to have code and data organized well enough to build a whole tool-suite around them, and allow to edit the game more and more extensively, until we can eventually create whole new games from the SF2 engine. 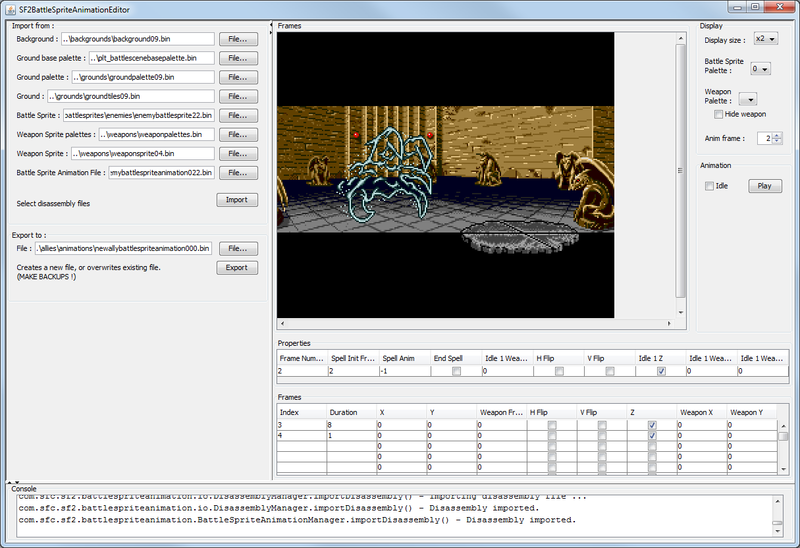 The game is built by an assembler program, as Sonic!/Camelot Software Planning developers did. To sum it up, this is the place to download a fresh copy of the SF2 disassembly (or better, fork it on your own GitHub repository ! 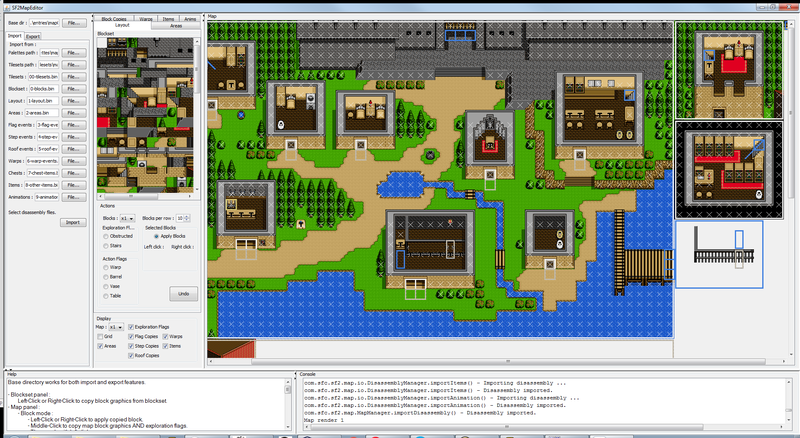 ), and start fiddling with the game to make your own hack, mod, fanwork, community-project and whatnot ! 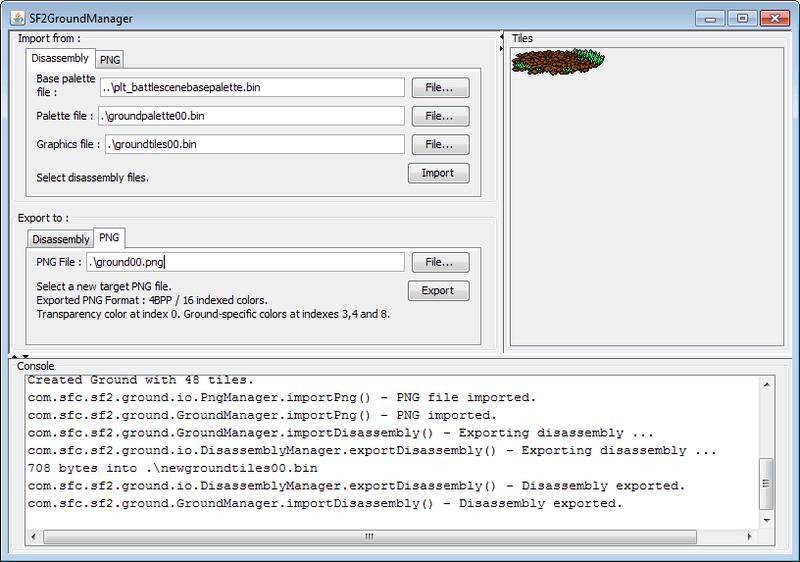 This topic will gather all my own work related to my own tools around the SF2 Disassembly. I may create specific threads for tools deserving it, but this main thread will always gather them all. However, be well aware that my tools are not the only ones that you can use : anybody is free to develop new tools and imagine solutions to edit stuff in their own way ! 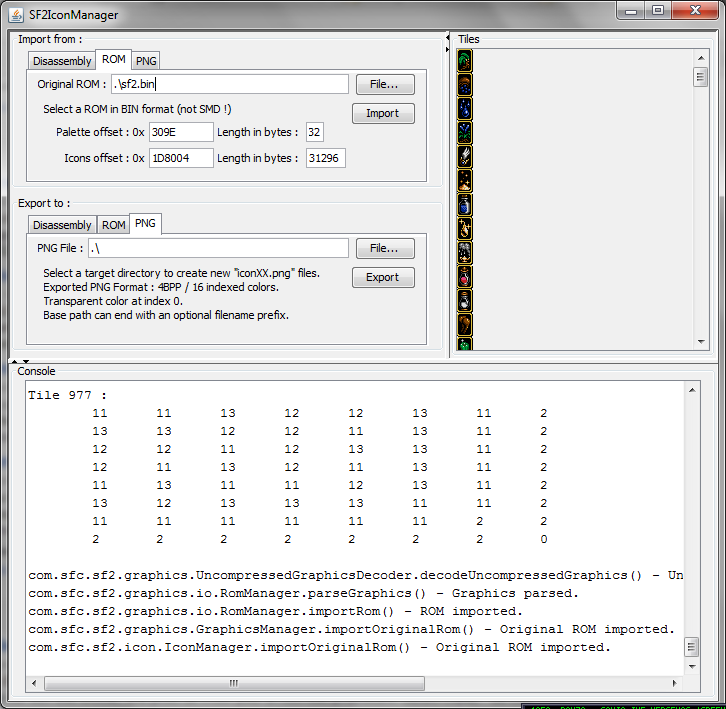 - People may already try to use more generic tools like Nightmare or Nightmare 2 to edit simple stuff like stats data, when they've been documented with a txt file. - You can also use my own tools as Java APIs for more complex tools. 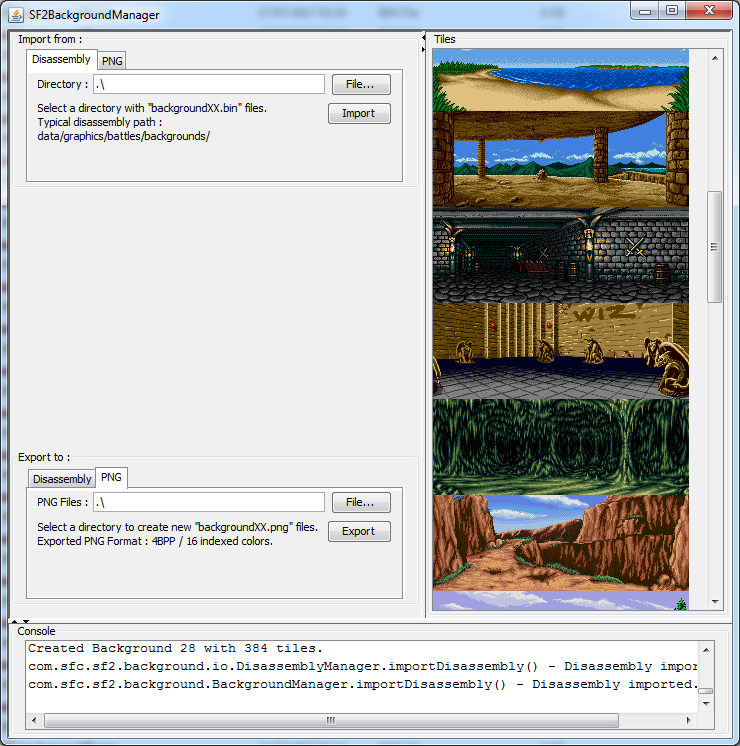 For example, SF2GraphicsManager can already load any kind of graphics data into an array of tiles (as the game does), so it's just a matter of using that tile array with the proper tile layout information, according to the kind of graphic assets you want to handle ! 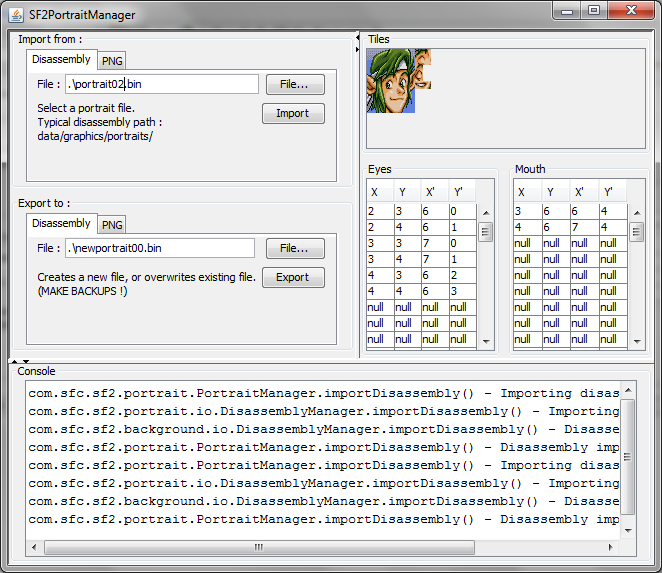 - You could also work on adapting existing tools like SF2Edit and The Caravan to make them work on a disassembly ! Come on Space King, come on BNC ! Please come back ! - And you can also simply hex-edit any of those binary files ! With cutscene macros for easier creations. Ronnen is working to change the world. This is an examplary way of packaging ips patches along with disassembly assets ! Thanks to anybody willing to share their work like this ! 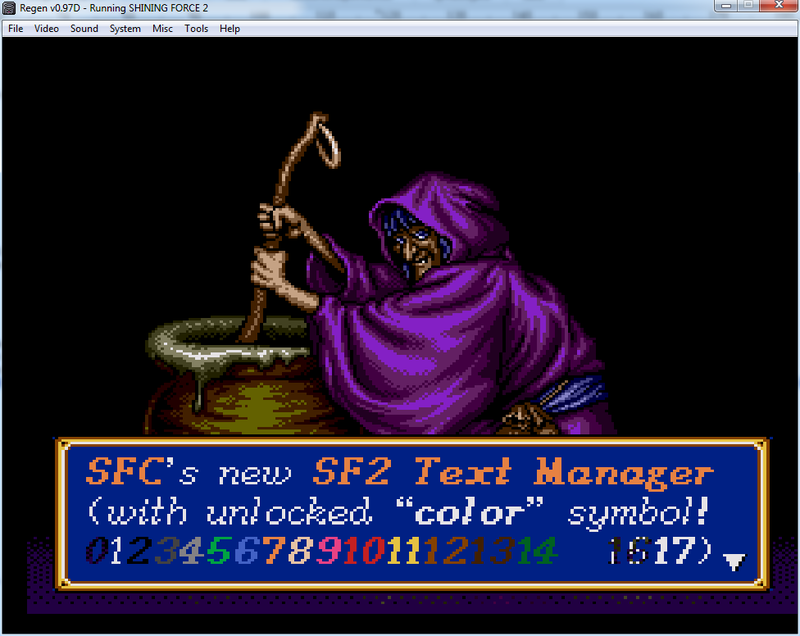 That'll do for the moment, please MXC, you can unpin the SF2RE and SF2DISASM threads and sticky this one instead. Edit : thanks Stor ! Last edited by Wiz on Fri Mar 01 2019 10:50pm, edited 25 times in total. This is phenomenal, and learning enough Motorola 68000 to dabble is certainly more approachable than diving in through hex editing. I'm interested in code\gameflow\battle\aiengine.asm and code\gameflow\battle\battlefieldengine.asm. This article (http://ladyabaxa.livejournal.com/65619.html) elaborates on what we've all noticed in the game: the AI makes some silly decisions to heal or not heal, and the AI is incapable of using Attack or Boost. Some members have started doing interesting work to tackle things like SF1-style EXP gains...but making the AI smarter with healing and support spells would be amazing. Sorry to be totally loosed on there... The potential of these tools looks phenomenal and Wiz made many new ones... But I'm just stopped at the first stages... I downloaded many of tools, do as asked the steps... But between, I'm loosed. I mean after decompressing file, I don't know how to open the tools and make them work to change things before "compile again". The tools available in SF2DISASM's data folders are executable JAR files : Java code pre-compiled to be executed in a Java Virtual Machine (JVM), no matter the actual OS and hardware. The tools are compiled with Java Development Kit (JDK) version 1.8, so you'll need JRE 1.8 or higher. 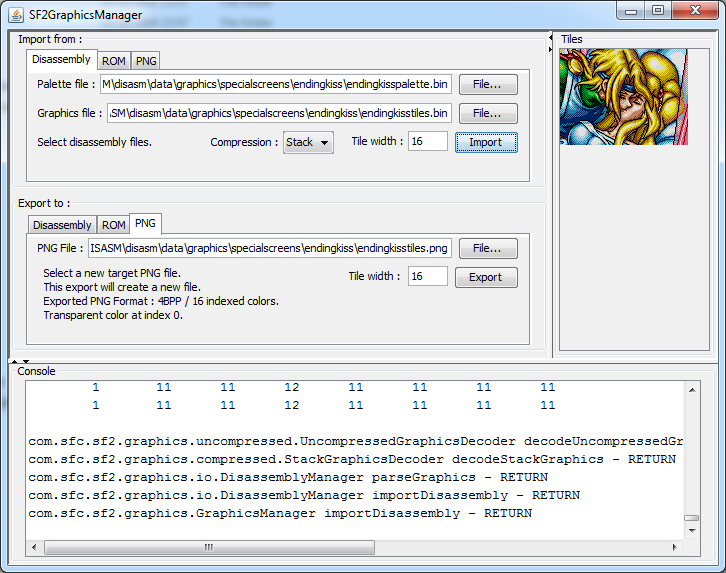 - you can launch an executable jar from command line, for example : "java -jar SF2GraphicsManager-1.0.0.jar"
- or you can associate the ".jar" extension with the JRE's java.exe program to launch SF2DISASM's tools with a simple open action !